She’s a Pretty Powerful, Firestarter! 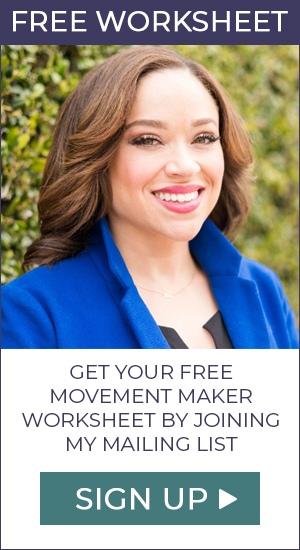 Home/Firestarters & Movement Makers/Women to Watch/She’s a Pretty Powerful, Firestarter! 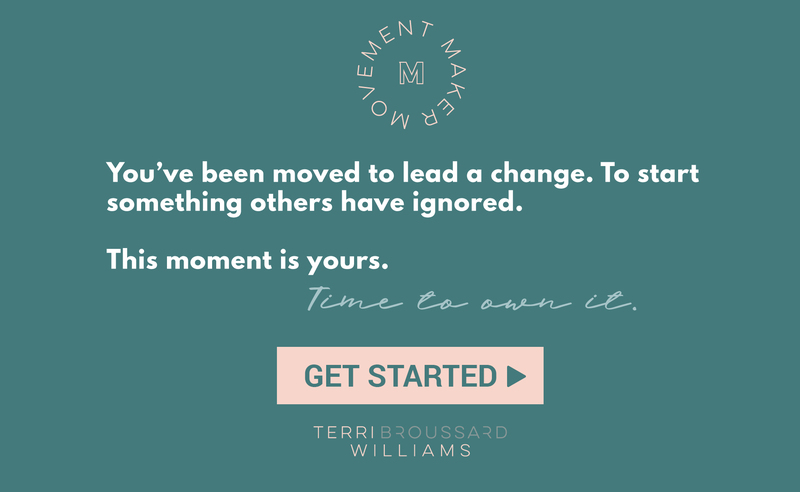 As I think about building out the #movementmakertribe, I want to be intentional about the information I share. I feel a responsibility to create content, but also a responsibility to curate content that might help you in your work. I want to inspire you to think you can do the very thing you think you can not do. 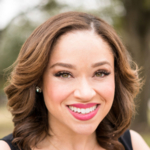 With that in mind, I want to share one of my favorite #firestarters who is a Woman to Watch. 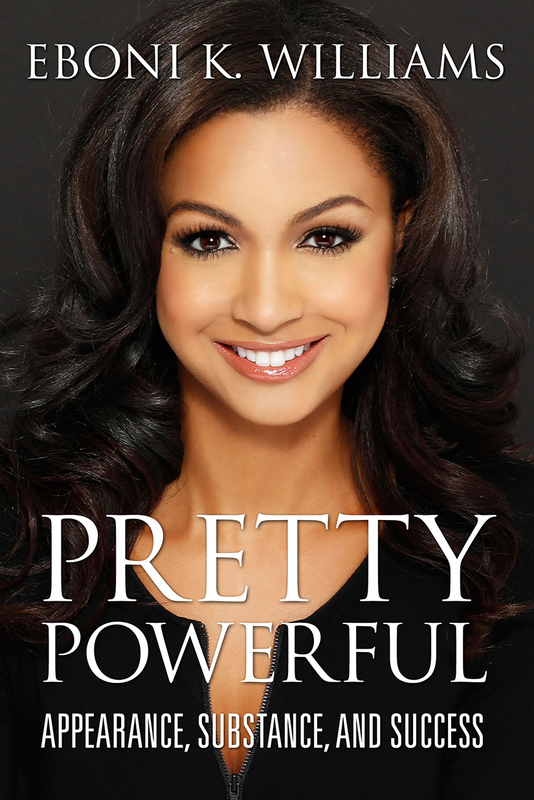 Eboni K. Williams is an author, attorney, and journalist who went from humble beginnings to the Fox News anchor desk. She’s not only someone I respect, but someone I proudly call a friend. Eboni and I met while volunteering for an international organization and instantly became friends. I admire the courageous way that Eboni stands up for what she believes in and doesn’t back down. Eboni recently completed her first book tour where she shared, Pretty Powerful with the world. In her book, Eboni shares how the strategic and intentional decisions she made about her career helped her land her dream job and she was able to do it while staying true to her personal style and values. You’ll also read about many times when she could’ve taken the easy way out of difficult situations but instead used them to benefit others. Her message resonates with so many women and has started its own movement. I had been practicing criminal law in Raleigh-Durham, North Carolina for about five years. I absolutely loved the law. I especially loved practicing in the courtroom every day where I represented the interests of people who otherwise would not have a voice and would not be heard. I loved that, and I was very, very good at it. My practice was going well. I was an up-and-coming star in the North Carolina legal community (if I do say so myself!). One day in 2010, I just decided to transition into media. I went to my boss to tell him that I was resigning my position to move across the country to Los Angeles. He and everyone else I told this to thought I was absolutely crazy to walk away from the successful trajectory I was on. I decided that I wanted to continue making an impact—which is what I was doing—but I wanted to do it in a broader way. The law is great, but the traditional iterations of the law are very slow. My ability to affect change was one case at a time, and that felt very slow to me. As pretty much everything else in my life can tell you, I like to live in the fast lane and move at a very accelerated pace because I am ambitious and know I have an enormous amount of potential to achieve my goals. I decided that the media would be a great way for me to be a change agent, where my voice would be heard and I would be able to put my message out there. Rather than affecting only a handful of people each day, I could affect millions a day. I didn’t know a soul who lived in Los Angeles, but I packed up, and, without even seeing the apartment that I rented, I moved there in May 2010. I spent a year working as a commercial actress and model to pay the bills. It was fine enough, but I really, really missed the intellectual vigor, social change opportunity, community engagement, and my dealings with the law and politics that the law gave me. Maddow in radio, Kelly reporting at the local level, or Van Susteren going on as a legal analyst during the O. J. trial. It became an important priority for me to get my voice out there. So here’s the funny story. I was on a date and my date asked me what I wanted to do. I explained that I really wanted to break into the world of television punditry and legal analysis in cable news. The date itself did not lead to love or romance, but the guy offered to pass my information on to his good friend who was a radio talk show host in Los Angeles on KFI AM 640. His name was Mo’Kelly. I was not a big talk radio listener, so I had no idea who he was. I went home and did my research. I found out that Mo’Kelly was a very successful guy with a brand-new show, and he was doing very well with it. I had no plan to be in radio, but I felt like any opportunity to get my voice out there, just like Maddow, Kelly, and Van Susteren had done, would be a great place to start. So I started going on the radio. I started giving legal analysis on the Jodi Arias case, which was a big case at the time. Shortly thereafter, the program director, Robin Bertolucci, heard my segments. She thought they were great and wanted to hear more. About the same time, Mo’Kelly asked me to review his contract from the radio station because he was up for a new deal. I was happy to review the contract for him. I gave him some advice and helped him negotiate a better deal for himself. When it came time to pay me, he asked how he should make out the check. I told him that he could mail me a check, or he could give me fifteen minutes once a week on his radio show for me to develop my own radio segment. He chose to give me those fifteen minutes. My segment became “Eboni K. Celebrity Justice Wrap Up” where for fifteen minutes once a week I took the biggest celebrity justice stories, gave them my own spin, and broke them down. My segment became super-duper popular. The program director heard it, loved it, and invited me in for a meeting. I went in and had no expectations. She said that she really loved everything she heard: my voice, my strong point of view, and my authority as an attorney. She did not have enough female voices on air, and she would love to see what I could do with the full three hours. She offered me the opportunity to start guest hosting on the radio station, and within a week I was hosting a three-hour talk radio show covering law, politics, and pop culture. I worked as a fill-in host for about two years. During that time someone from Fox News’s “The O’Reilly Factor” heard a show, and thought it was really strong. I was contacted and asked if I would be willing to come on air to discuss the verdict in the George Zimmerman case. I accepted. Of course I knew who Bill O’Reilly was, but I did not fully understand the gravity of that moment— which was probably in retrospect a good thing because I did not have time to get incredibly nervous or anxious. I went on, did my thing, and gave my take. I will never forget as long as I live the first time Bill and I spoke. I was sitting in the chair in the LA Bureau getting miked in my ear. I heard Bill O’Reilly’s voice in a godlike, omnipresent way, “Ms. Williams, Bill O’Reilly here. We’re going to make this pithy. I want to know what you think and why you think it. Thanks for joining.” We then went to air. After that, it took on a life of its own. Other people at the network and other networks started seeing me and contacting me to do guest appearances. I started doing appearances on the NFL Network, CNN, HLN, you name it. That is what was going on media-wise. So, how are the bills being paid? Very important question because they were certainly not being paid by television. Radio eventually did start to pay me once I started guest hosting, but it was a very, very small amount. I had to supplement it to live as a single woman in Los Angeles. So I took out my law degree and I started doing contract work. I was reviewing documents for lawsuits—incredibly mind-numbing, monotonous, hourly paid work. It paid very little. I don’t mind saying it paid about twenty- five dollars an hour. I did that for easily forty to fifty hours a week. Eventually, I was hired by HLN. It was my first paid television gig as a legal contributor. I worked there for a year. I flew myself back out to New York again to meet with the Fox executives. I was told again, “Thank you. You are doing great over there, but were not going to make a move at this time.” During this trip I met with CBS News. I was given an offer to move to New York as a CBS News correspondent which was thrilling. I accepted that opportunity to help them build their digital network now known as CBSN. It is important to note that this was a very unglamorous period of my life, more so than now. It was a nasty grind. It was not one, two, three easy steps to make this huge career transition from law to media. It was a series of not only steps, but also false starts. I certainly had many failures and rejections. So many of my booking request emails to producers went unanswered. The mantra that I convey to students whom I mentor now, and that I apply to myself first is: I do not care about one million noes, I only need one yes. Just one yes. With perseverance, I got a series of yeses that changed my life. For me it was completely worth it. But I don’t recommend anybody take that type of transition or leap of faith lightly because it will absolutely test your character, your faith in yourself, and even your desire to do what it is you’re trying to do. You will be met with so much adversity, so many people not only doubting you, but telling you that you’re crazy for it, that you are not good at it, and that you are making a humongous mistake. It is up to you to decide that those voices are not as strong as your desire, passion, and confidence in your own abilities. There were two things that kept me going in those times of bitter rejection. First, my faith in God. I am nobody’s preacher, but my faith is incredibly important to me. It is what I relied upon to get me through not only this career transition but personal challenges in my family life as well. Some people are called to ministry, I felt called to do this. I felt called to work in this professional arena to be a voice for people who otherwise would not be heard and to represent a perspective that was incredibly marginalized. I felt an almost spiritual connection to this work, so that kept me going. The second thing that kept me going may look and sound a lot like blind confidence in myself but it is actually not. I really just trusted my own preparation and my abilities. I never thought then or now that I’m the smartest person in the world, the most beautiful person in the world, or the most gifted. But I do think of myself as someone who will never be outworked. There will never be anybody whose desire to do this is stronger than mine. If I can’t invest in and bet on myself, then what in the world am I doing? So it never really felt like a huge gamble to me in the way that I know it appeared on the outside—leaving a successful legal career that was lucrative and comfortable and safe for the complete unknown. (And what for many years in the beginning was unstable, unproductive financially, and ripe with rejection and ridicule.) But it never felt like a gamble to me. I always felt like I could bet on myself, and I still feel that way to this day. elt like I could bet on myself, and I still feel that way to this day.